Indulgence as a gift to you or a present for another special someone. 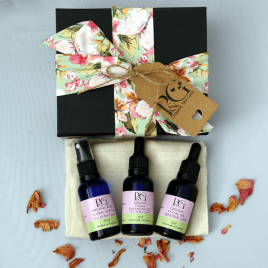 Beautifully packaged by hand in our ‘keepsake’ box. This treatment oil comes complete with a dropper applicator for ease of use. ONE DROP is all you need. Too much oil-based serum in the eye-area may congest the skin around the eye. It is recommended only to use this eye serum at night, while the skin repairs itself. Body heat will allow the oil to further distribute over the eye area overnight. Daytime use under cosmetics will likely cause smudging or movement of eye makeup. Be careful not to get serum near the eye socket, as the serum may enter the eye. Flush eyes with water if contact occurs. Handmade in Wiltshire. Please re-cycle the bottle. 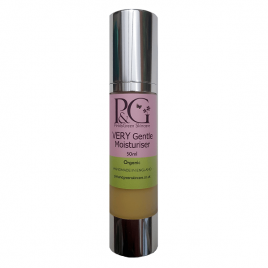 This kit is amazing for my sensitive rosacea skin. The cleanser is great value as you only need a few drops. I use 3 drops which is enough to remove my make up in the evening. 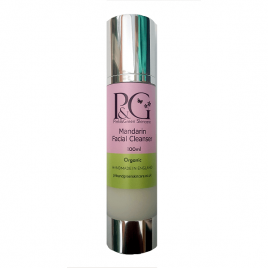 Used with the muslin cloth it gently exfoliates to remove any flaky skin I have on my dry cheeks. The rose water smells divine. I use 3 pumps on a damp cotton pad and it really helps to tone down the high colour I have on my cheeks. 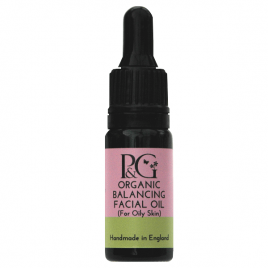 The facial oil is an amazing moisturiser and works perfectly under my make up. 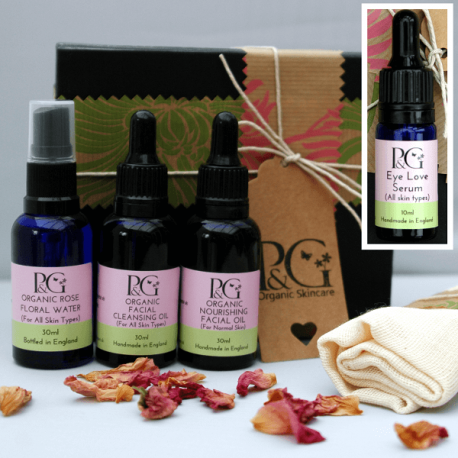 I use 3 drops morning and evening and it soaks in beautifully with no oily residue just super soft moisturised skin. The eye serum is great. I use one drop in the evening which is enough for both eyes. Does not get in your eyes or sting like some other eye products I have used in the past.